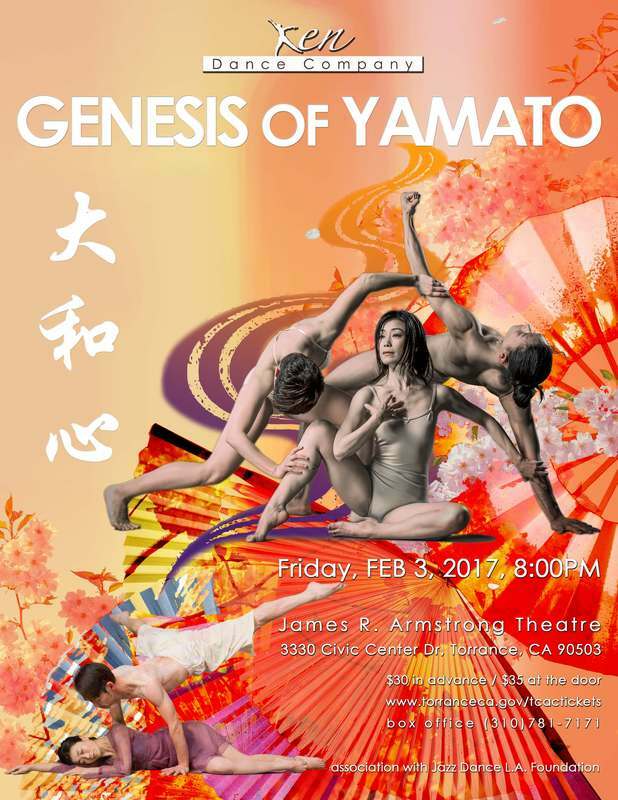 Ken Dance Company in association with Jazz Dance L.A. Foundation present GENESIS of YAMATO. ​The Heart of Japan, "Yamato," to be ONE. Coming together as ONE does not mean to fit a mold and hide individuality. Maximize and embrace individuality, and let those come together to make a balance as ONE, that is the true meaning of "Yamato Gokoro (the heart of Yamato)." "Genesis of Yamato" - 大和心 " is a dance show that embodies Japanese ancestry, scholars, myths, tales, literature such as "Genji Monogatari (the tale of Genji)", and expands these art forms beyond letters or words to express a world of spirituality. The elegance and grace of Japanese culture comes to life through the theatrics of the choreography which features Japanese music, Japanese instruments and kimono (Japanese traditional clothing). The show will have a variety of styles such as ballet, contemporary, hip hop, and traditional dance to bring out the individuality and personality of the multi-race cast. This "Yamato Gokoro" will embody not only a Japanese heart, but the heart of the world.